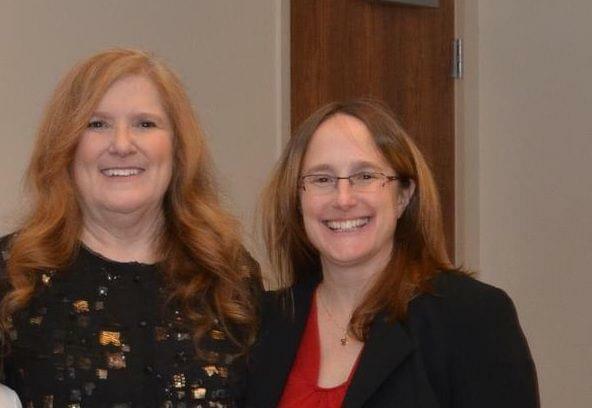 Deb Frank Feinen was sworn in Tuesday night as the new mayor of Champaign. Transitioning from being an at-large city council member to the role of mayor has some changes and new challenges ahead for Feinen. In an interview with Illinois Public Media's Jim Meadows, Feinen says she is proud of the way Champaign operates, but has growing concerns over the recent string of shootings in Champaign this year. "The violence issue in both Champaign and Urbana, is going to be a primary focus this spring and summer, but it's a matter of getting out into the community and seeking input," said Feinen. Feinen commended the Champaign Police Department's efforts in solving cases of gun violence. She says she wants to work on preventing shootings from occuring in the first place. Another passion of Feinen's is the effort to bring high-speed broadband to Champaign's residents through UC2B. She hopes to use broadband connections to drive economic development, educational opportunities and help the not-for-profit sector, like churches. "I think we are uniquely positioned, we have this asset (UC2B's high-speed broadband network) that most cities don't have, but we also have the University of Illinois, and so we really need to move forward." 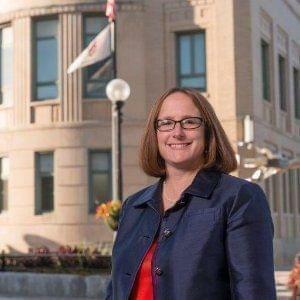 Feinen says that as mayor, she expects Champaign's day-to-day operations should remain the same, under the leadership of City Manager Dorothy David. But Feinen says she plans to be at the City Building every day, and be accessible to council members and residents.